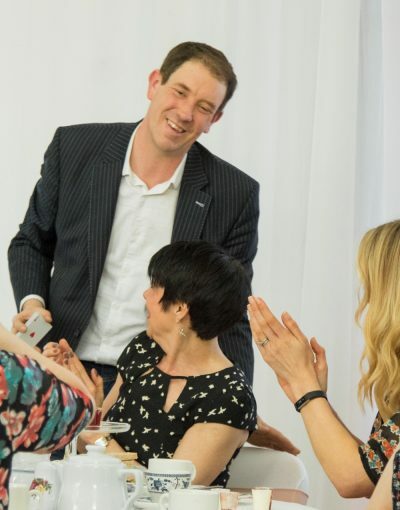 Looking for a North East Wedding Magician? Paul is Here to Help! Amazing Wedding Magic with Modern Presentation. Keep all generations happy together and in the mood to celebrate in style. Flexibility and Experience to fit in with Your Day. Paul has performed at lots of weddings. Some with hundreds of guests, some with just close family present. You can relax and know that friends and family are in great hands. Easy Booking Procedure and Support. All enquiries to this site are handled by Paul personally so you won’t be dealing with a middle-man or paying agency fees. Make arranging your wedding entertainment easy. "Lots and lots of people came up to me during the night and said they loved your tricks and it was a real high point. It was great hearing the shrieks and applause from the tables at the start of the evening do. It really got them warmed up because they never stopped after that." If you are looking for a great magician to entertain your guests at a North East weddding you have found the right corner of the internet! Of all the events Paul performs at weddings are his favorite because he recognises the privilege of being included in your special day of celebration. His magic will be part of the memories you and your guests cherish forever. Between your weddiing service and wedding breakfast there is often a reception. At this time people will be stood around and you may be having some photos taken. This is a great time for Paul to keep your guests smiling and entertained. After the wedding breakfast, before the evening reception begins, you may have time where people take time to refresh and then are waiting for the next thing to start. Paul's magic is a perfect way to keep the energy up. Great either straight after the meal or just as the reception is about to begin, to warm up for the party. You probably have some more guests arriving to join the festivities. Magic is a perfect way to break the ice. Get people in the mood to party and kick off a very special evening. Each group at your drinks reception or each table at your wedding breakfast receives a small show of fantastic magic. People feel amazed, amused and special as they enjoy the unique experience of watching close up magic. “Book this guy, highly recommended !! Paul wins you over from the very first moment; he is such a funny and amiable person and his tricks are just mind-boggling ! Paul entertained us during our wedding celebration, and he has some wedding-specials up his sleeve you can literally take home with you and which will always remind you of this special day !! He is great with children, too. Our kids are usually a bit shy but they were totally absorbed when Paul tied them into his show and they had a whale of a time !